If you're trying to get from point A to point B as ruthlessly fast as possible, you're not taking a train. But for those who subscribe to the adage that the journey is worth more than the destination, trains are still king. 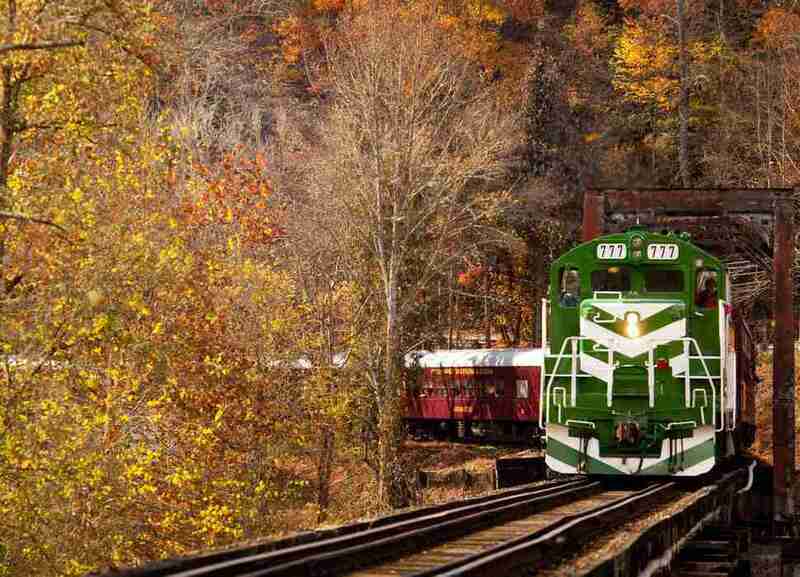 It's hard not to be seduced by the old-timey dreaminess of railway travel, and whether you're on a quick jaunt through the countryside or a mountainous cross-country odyssey, it's the easiest way to see some of the most magnificent scenery in the States. Here are 12 of the best rides in the nation. 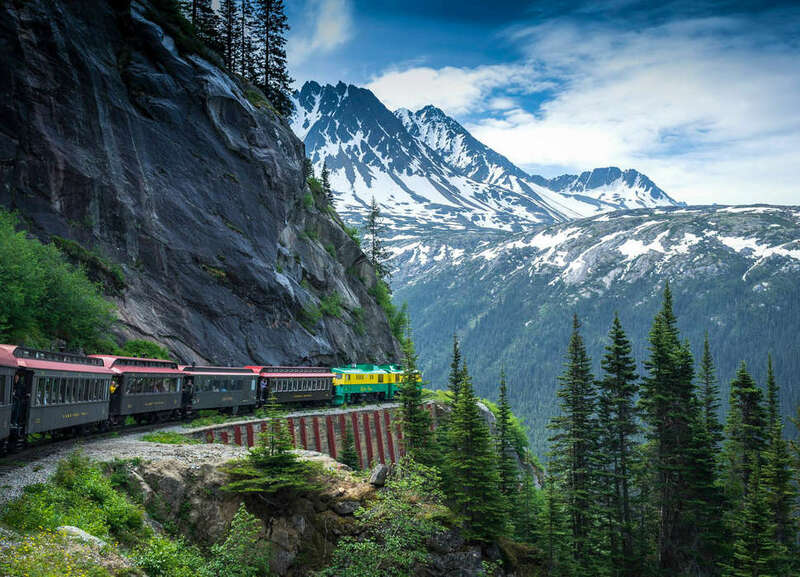 Naming the train "Cascades" sets the bar pretty high as far as scenery goes, but this ride through America's Pacific Northwest does not disappoint. The trek from Eugene to Seattle is a long trip through evergreen forests, which expertly hide the dense masses on the I-5 corridor. Once you reach Seattle, though, the real fun starts. 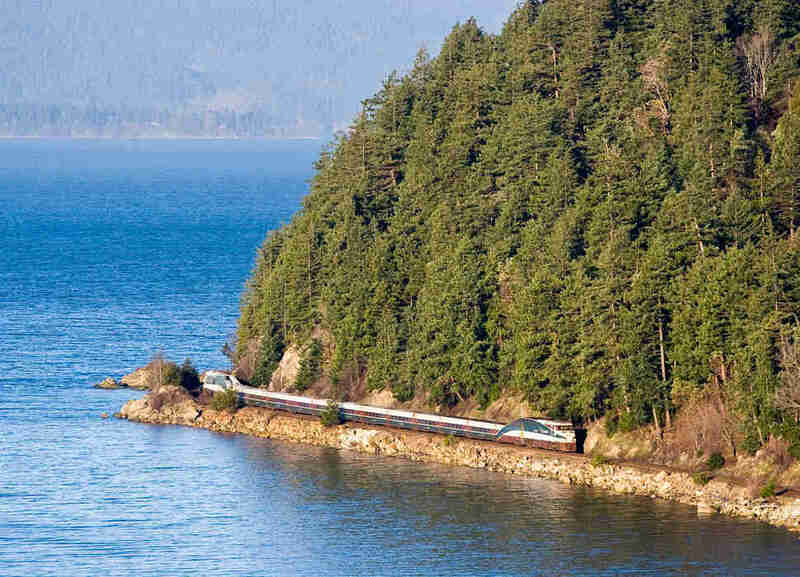 The train travels along Puget Sound, and on a clear day, passengers on the western-facing side get a front-row view of the Olympic Mountains. It's a four-hour moving postcard that'll have you researching real estate on the in-train Wi-Fi. Joke all you want about West Virginia -- they don't call it "almost heaven" because St. Peter is missing his teeth. The scenery here is nothing short of spectacular, and this quick jaunt is the best way to soak it up. These are original locomotives once used to transport lumber to mining camps, now hauling passengers up a four-mile, 11%-grade slope with sweeping views of the mountains below. At the top of the ride is Whittaker Station, a restored logging camp. 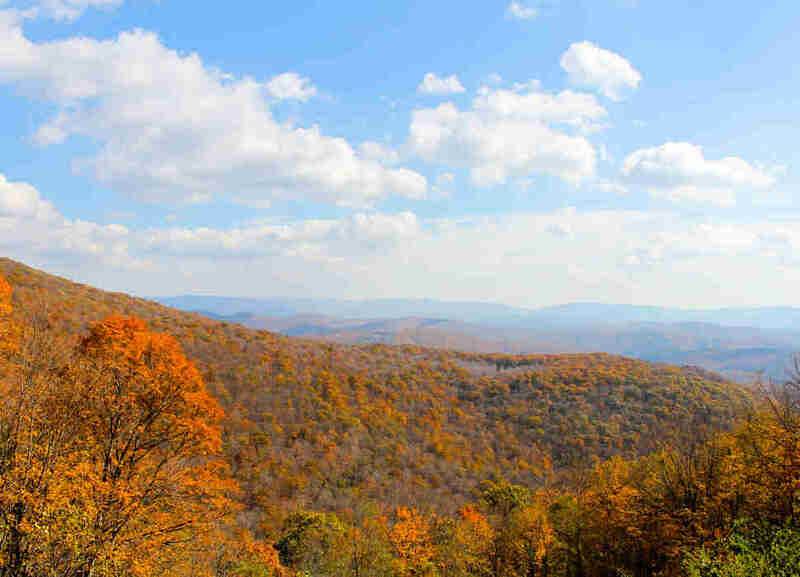 For optimum results, go in October when the fall foliage is at peek amazingness. If you want to do the entire route, and retrace the trail pioneers took when settling the American West, the 50-plus-hour ride is a great way to appreciate NOT doing this in a covered wagon. 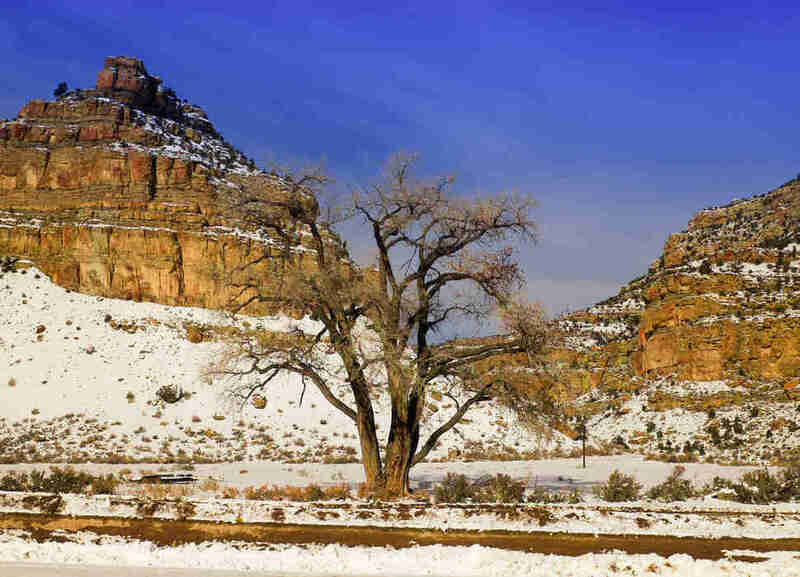 The main event starts in Denver where the train journeys through the towering Rocky Mountains, into the red rocks of Utah, through Ruby Canyon, the Sierras, Donner Pass, and finally San Francisco Bay. It's the best way to take in the grandeur of the West short of renting an RV. As you cruise along the side of frighteningly sheer cliff-drops on this narrow-gauge railway, you can't help but wonder who in their right mind actually built this thing during the Klondike Gold Rush of 1898. 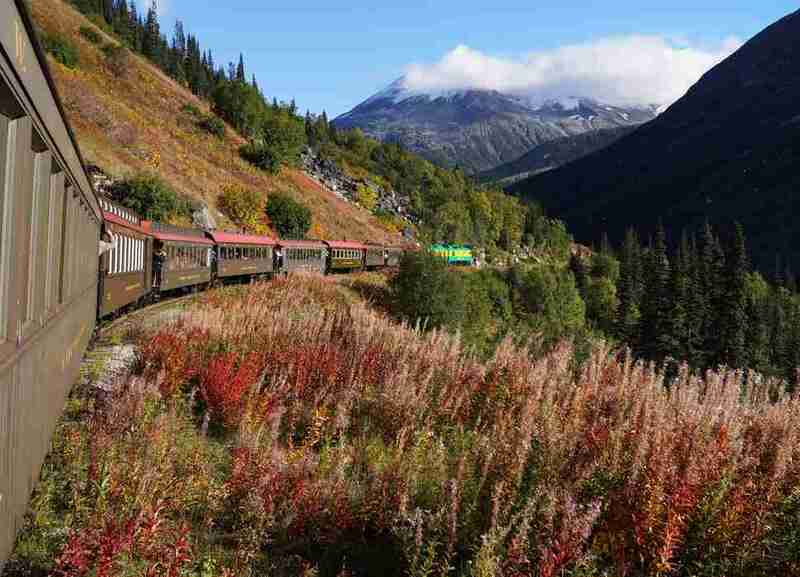 The train departs from Skagway on three different excursions, all of which take you up 3,000ft in 20 miles, past glaciers, mountain lakes, and thunderous waterfalls. The signature trip travels the original miners' supply route to Carcross, Yukon, and stops at a restored station house in Lake Bennett. Or you can take the train past Bridal Veil Falls and Dead Horse Gulch to White Pass Summit, a 40-mile round trip that traverses massive trusses that are not for those with a fear of heights. 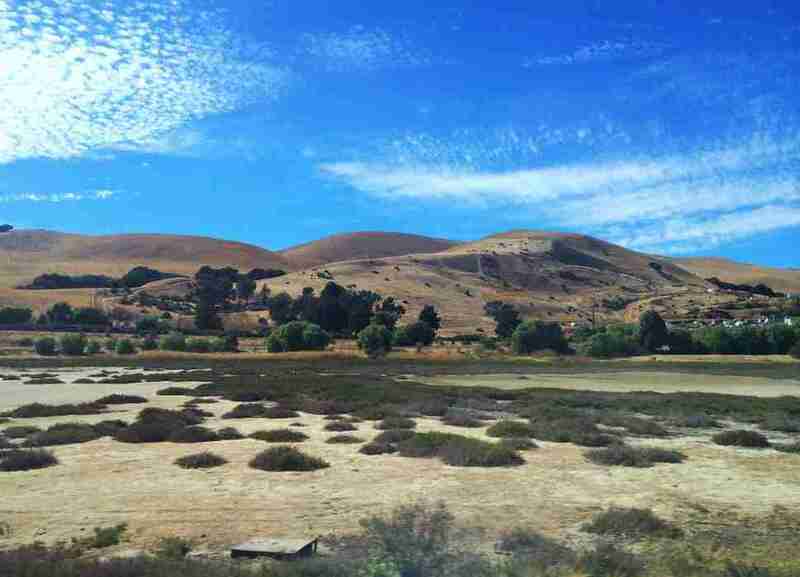 If John Steinbeck had designed a train route, it would've looked something like this. The train is designed to quickly transport Bay Area residents to the Capitol in Sacramento, speeding alongside the picturesque San Francisco Bay, through the industrial bays and waterways near Martinez and the majestic rolling hills of Northern California, and settling in the valley near Sacramento. A short jaunt up into the El Dorado foothills finishes the ride. A visit here usually requires that you invest in as much Vineyard Vines and as many Sperrys as possible so as not to get kicked off the Cape. But if you want to take in the beauty of this seaside community without any old-money pretense, take a ride on this railroad, through the cranberry bogs, salt marshes, oceanfront trails, and adorable little towns. You can opt for either the sightseeing tour -- complete with informational narration -- or the dinner train with freshly prepared fine dining on board. 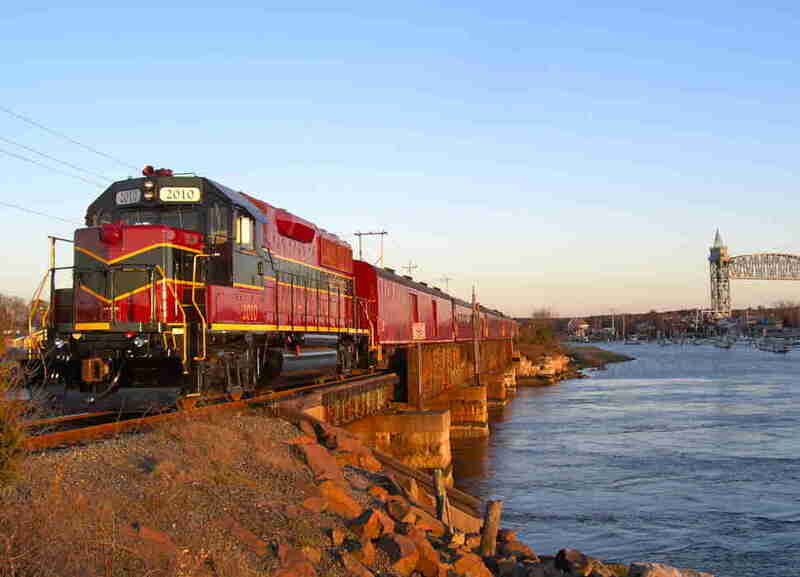 Both options take you through areas of Cape Cod that can only be seen by train. The Grand Canyon is one of those American landmarks that is easily ruined should you find yourself stuck in traffic behind 30 tour buses and seemingly all of Quebec. To skip the hassle entirely, hop on this train departing from Williams, about 65 miles south. It starts in the dense pine forests of Northern Arizona before settling into an expansive plateau of high desert, speeding past Native American reservations, elk, bald eagles, and condors. 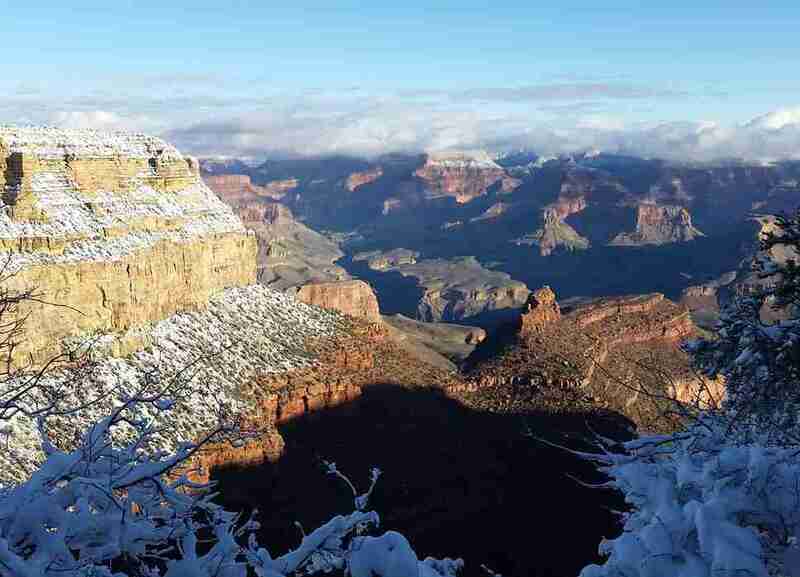 You'll go through the San Francisco Peaks and near the highest point in the state before arriving to the majestic desertscape that is the Grand Canyon's south rim. And while you might encounter crowds there, after such a peaceful ride you probably won't mind. It's tough to take in all of the Great Smoky Mountains in just one train ride, which is why this outfit based out of nearby Bryson City offers two options. The 32-mile Tuckasegee River Excursion takes passengers through lush green valleys and over historic bridges into the quaint town of Dillsboro for an hour-and-a-half stop. The 44-mile Nantahala Gorge Excursion journeys along the Tennessee and Nantahala Rivers, over Fontana Lake, and into the gorge. It's more scenery and less history than its counterpart, but both are equally excellent ways to take in some of America's greatest wilderness. Driving up the Pacific coast is about as classic as American road trips can get. That being said, if you're the lucky one behind the wheel, it's hard (and, ya know, dangerous) to really take in the sights. 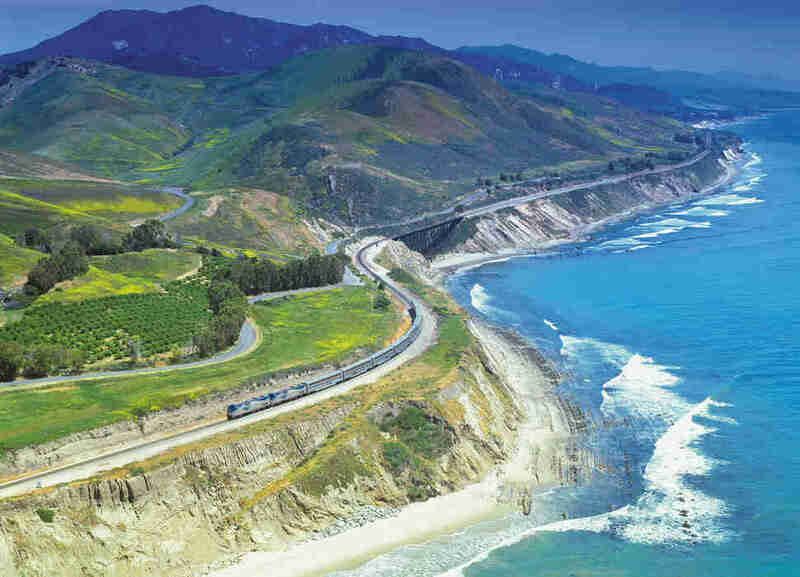 The Coast Starlight hits all the highlights: the dramatic cliffs along the PCH, Mount Shasta, the San Francisco Bay, Oregon's Cascade mountains, Mount Rainier, and Puget Sound. Desertscapes aren't for everyone, but if you're into grand vistas of red rocks and cacti, this might be the most scenic train route in America. It starts off in Louisiana bayou country, then chugs through the expansive Southwestern deserts of West Texas, New Mexico, and Arizona. 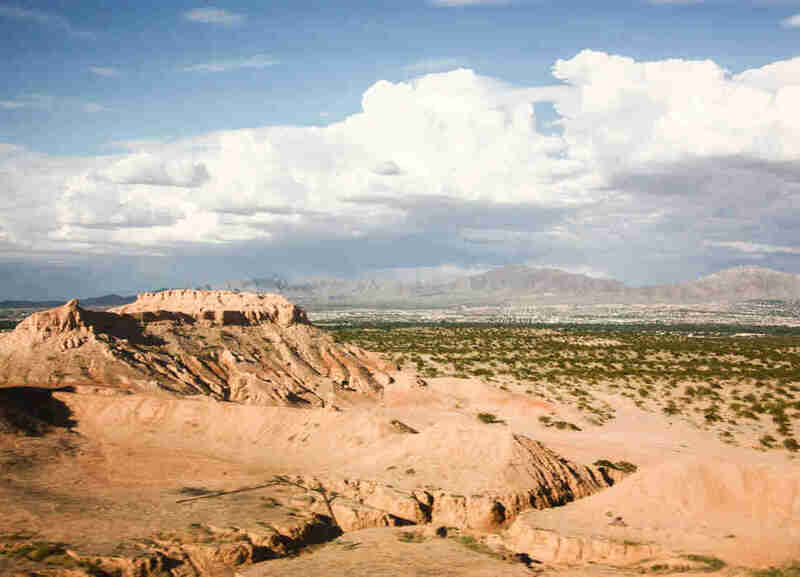 During peak season, national park guides are on board to explain the history and geography of the region, and you're welcome to step off at Big Bend or Saguaro National Parks if you want a closer look. 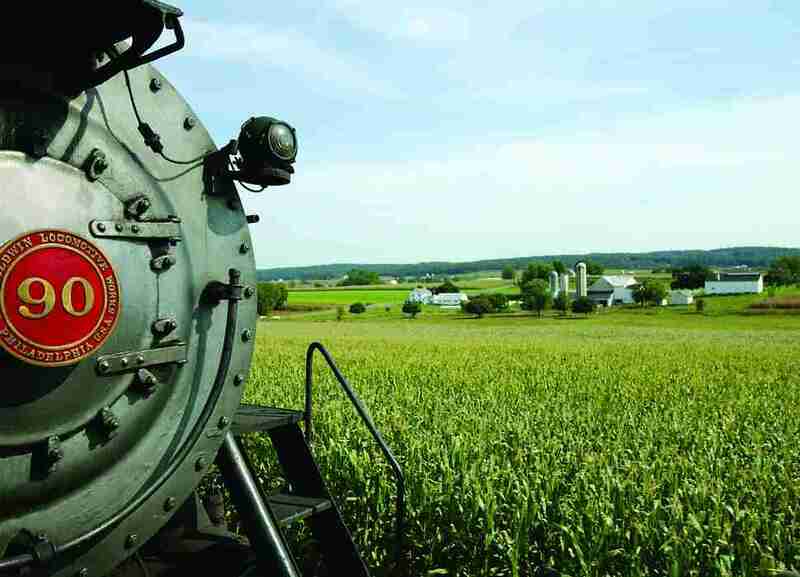 The oldest rail line on this list is a quick trip through Amish Country, with expansive countryside and rolling hills in the distance. It was once used to transport goods from the industrial heart of Pennsylvania to the coast before being restored in the 1960s as a passenger train. The first-class and president's trains are outfitted to look like Gilded Age luxury, and though the ride to Plymouth is brief, it's a worthwhile family-friendly excursion. 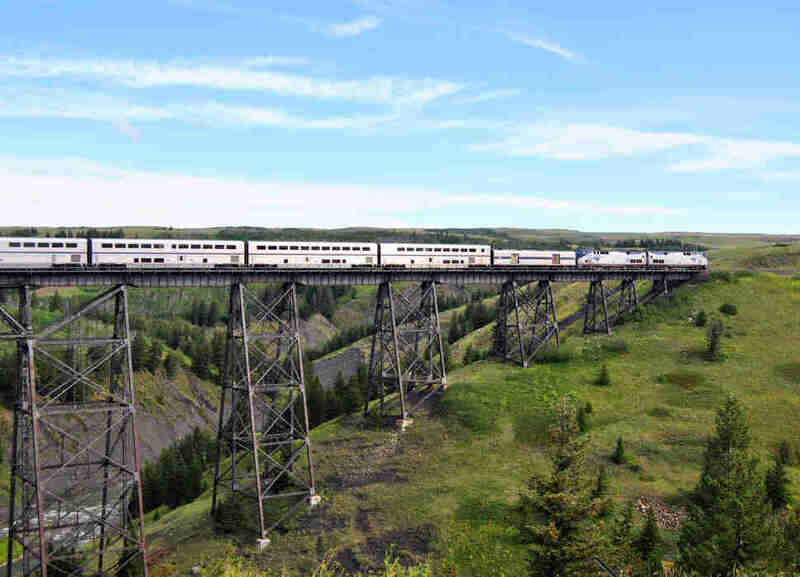 To see the Great Plains in all their splendor, and spend the most scenic eight hours of your life crossing Glacier National Park, get yourself on the Empire Builder. This 46-hour ride traverses through Lewis and Clark's expedition route, Whitefish, Montana, a couple of mountain ranges, and a seven-mile tunnel cut through the Cascade mountains. It's a long trip for sure, but if you spend your time in the observation lounge it might be the best ride of your life.